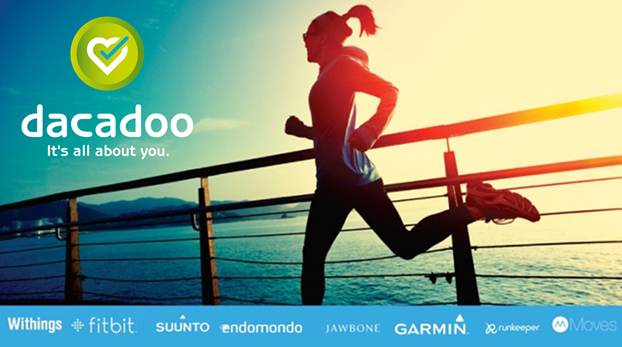 You can now connect your Polar device with dacadoo directly via the mobile dacadoo app (iOS, Android) or via the web access on www.dacadoo.com for PCs, tablets or other smartphones (e.g. Windows Phone, Blackberry, etc.). 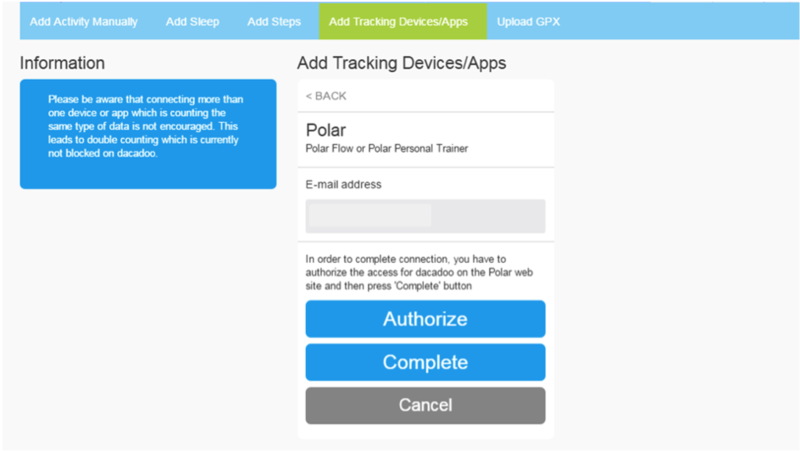 Hereafter, please find a step-by-step guide on how to connect your Polar device via your mobile app (A) or via the web access (B). 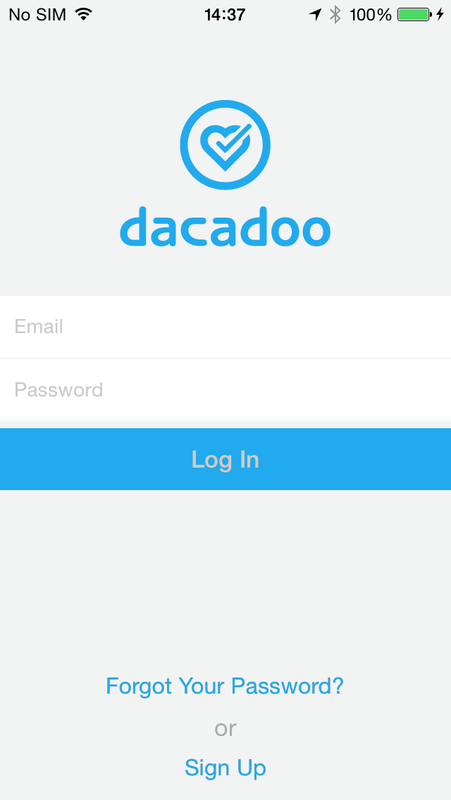 The first step (assuming you have already installed the app) will be to log in to the dacadoo application with your e-mail and password. Then press Log In. 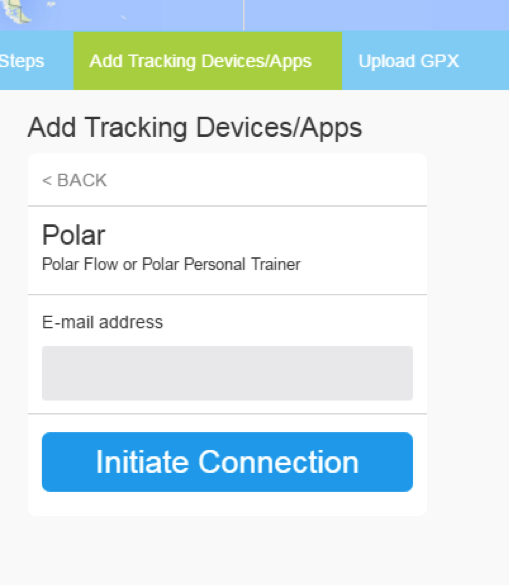 To connect with Polar, just click on Polar. You will access the Polar detail page on dacadoo. 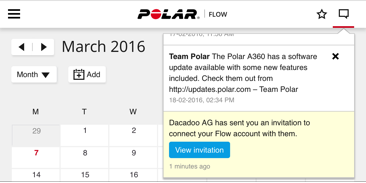 For E-Mail address you need the same log in E-Mail address as you use for Polar Flow or Polar Personal Trainer. Then click on Initialize Connection to start the connection process. dacadoo will open a new page automatically (if this page does not show up automatically, please go back to the Overview of connectable devices/apps and click on Polar again), please click on Go to Company Webpage to accept the connection. 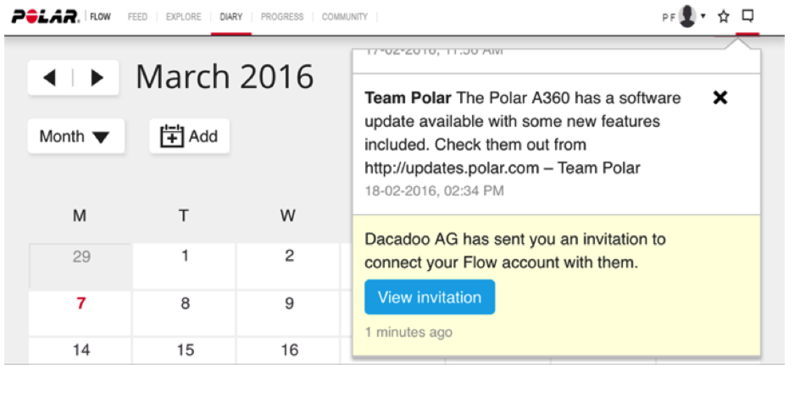 It leads you automatically to the webpage of Polar were you can find an invitation from dacadoo in your Polar mailbox. 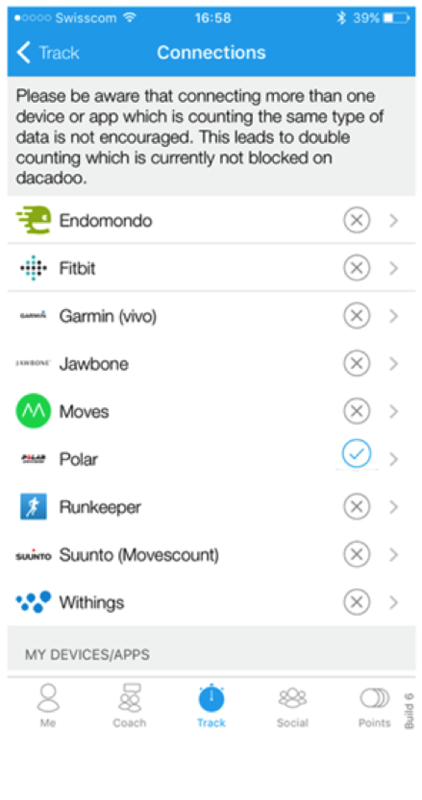 Then click on Accept to allow the data synchronization between Polar and dacadoo. After this step you have to close the Browser and return to dacadoo. Back on dacadoo click on Complete connection to complete the process. 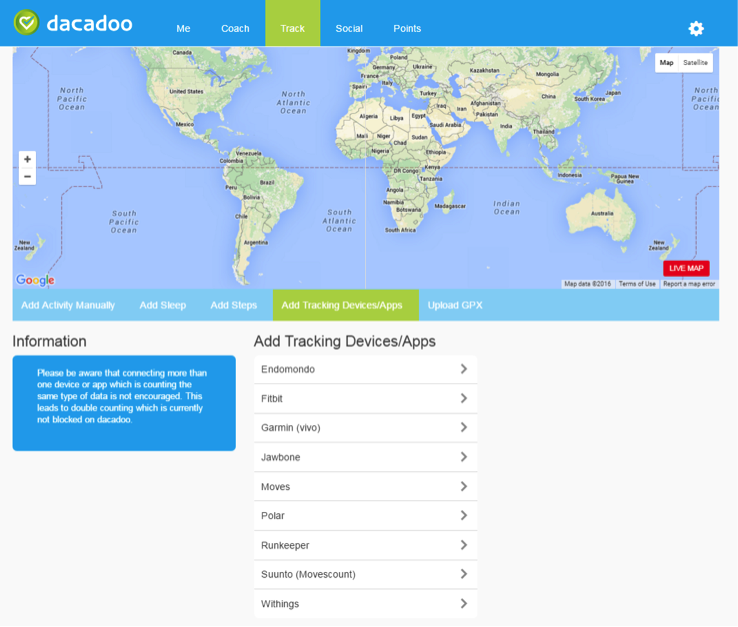 To double check if your connection was successful, please return to Track > Tracking Devices/Apps on dacadoo and verify, if you see a blue icon with a check mark next to Polar to confirm connection. Click on Polar again to access the Polar detail page where you can synchronize current data. 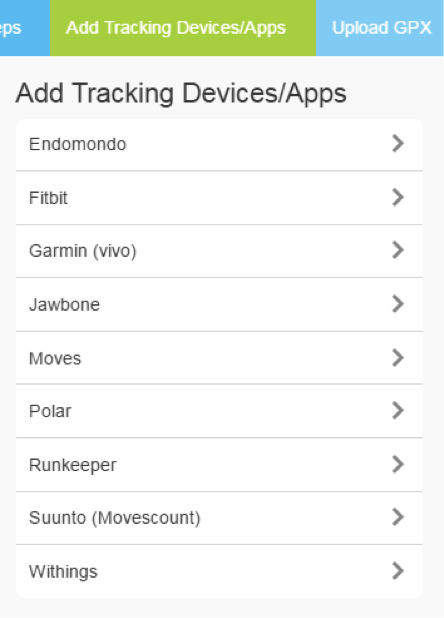 After successful log in, click on Track in the main navigation and then on Add Tracking Devices/Apps. 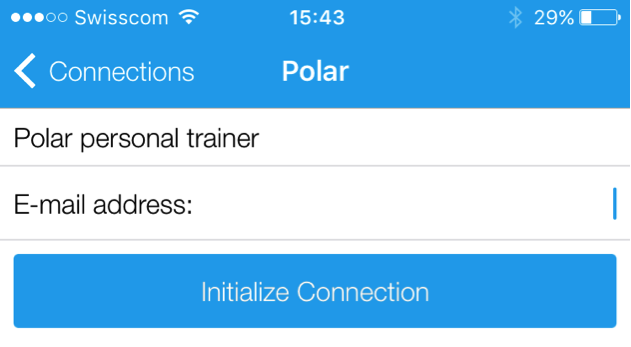 To connect with Polar, click on Polar. You will access the Polar detail page. 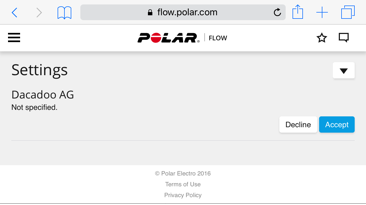 Fill in the E-mail address you use to access Polar Flow or Polar Personal Trainer. Click on Initiate Connection to start with the connection process. 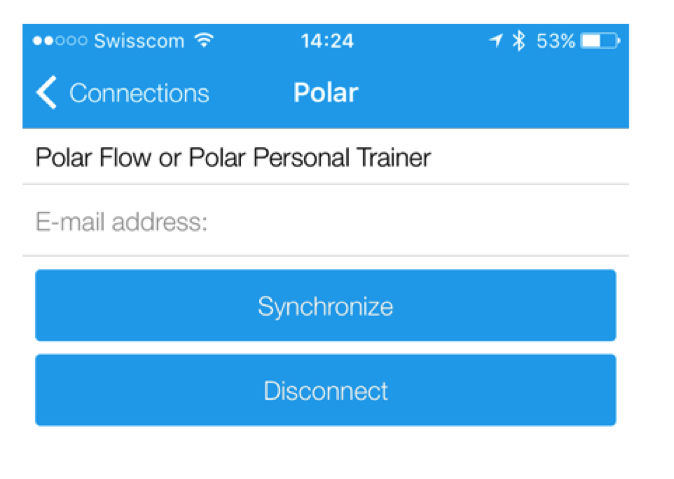 To connect Polar with dacadoo, you have to accept the connection on the Polar Website. Therefore, please click on Authorize. 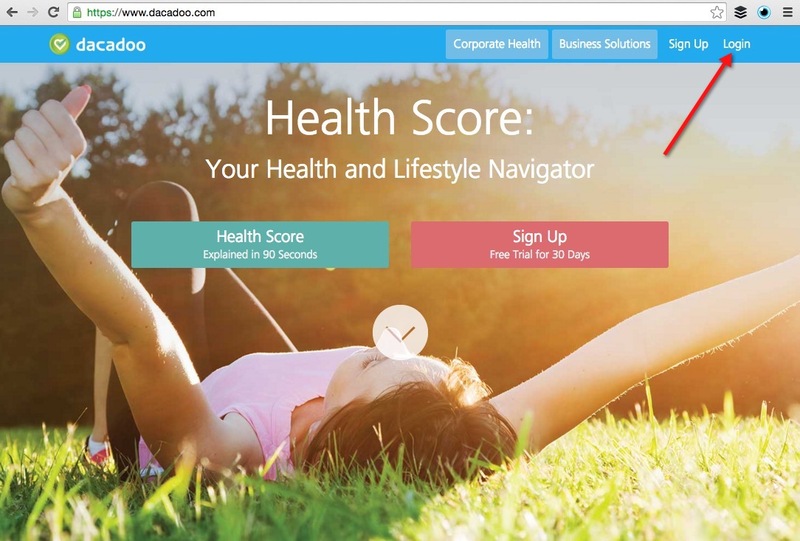 It leads you to the Polar website, where you can find an invitation from dacadoo in your mailbox. Click on View invitation. 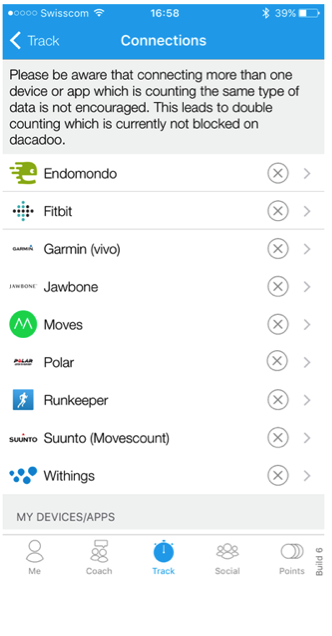 Then click on Accept to allow the data synchronization from Polar to dacadoo. 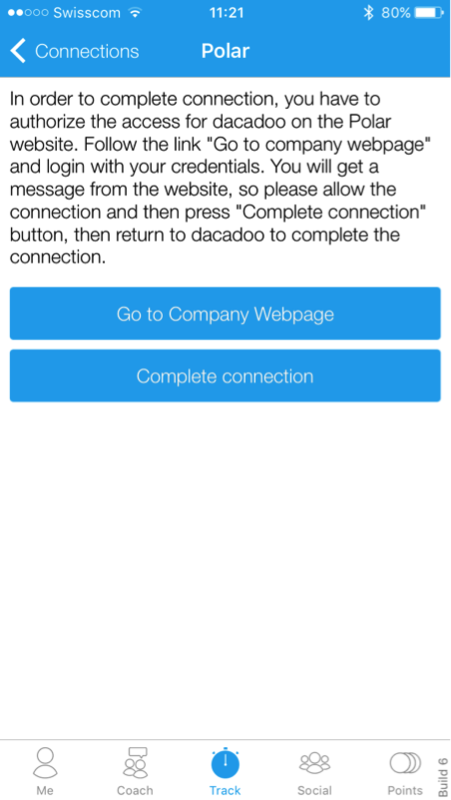 After this step, go back to dacadoo were you can click on Complete to complete the connection process. 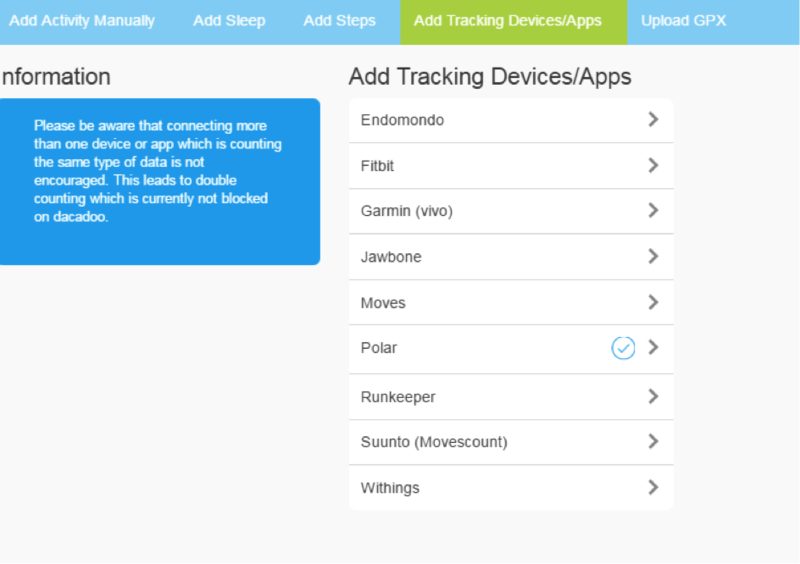 To double check if your connection was successful, please return to Track > Add Tracking Devices/Apps on dacadoo and verify, if you see the blue icon with a check mark next to Polar to confirm connection. If you click on Polar again, you will find a synchronize button Synchronize Data for a current data transfer. It is not possible to synchronize sleep data from Polar to dacadoo. It is only possible to synchronize Running, Cycling and other Indoor / other Outdoor (without GPS) activities which were tracked automatically with the Polar device. 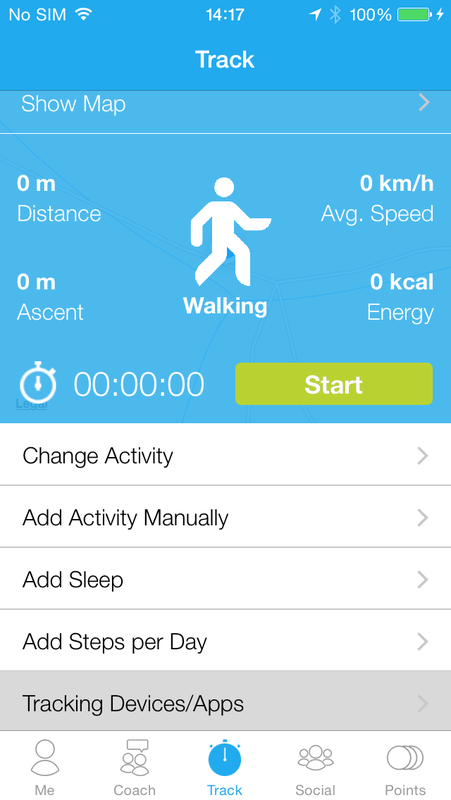 Manually tracked activities with the Polar Personal Trainer or Polar flow cannot be synchronized with dacadoo. 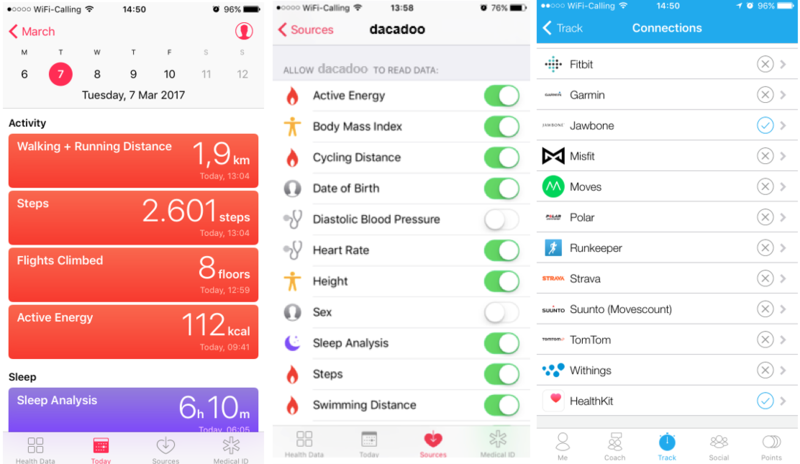 Always synchronize your Polar device first with the Flow or Personal Trainer App before you try to synchronize data with dacadoo.